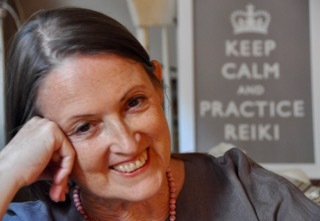 Do you have to charge Reiki fees to be a Reiki professional? 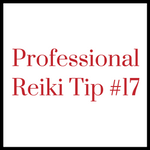 Setting Reiki fees involves many decisions, and Reiki professionals often ask for help in this process. 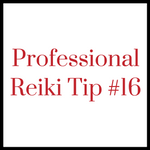 We discuss various aspects of your fee decisions in this section of the Reiki Professional Tips video series. 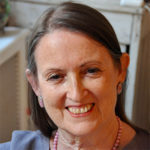 The Reiki fees videos were created by international Reiki master Pamela Miles, author of REIKI: A Comprehensive Guide. I’m having a difficult time figuring out what to charge. I have more experience than people in my area, but seem to be challenged with charging more since people do not want to pay more for years of experience. It seems that the public feels like they can get a cheaper deal somewhere else. People seem to think all Reiki practitioners are the same, so why not go for the cheapest one. It’s not simply a matter of figuring out what to charge, Jaya. You also need to inform your public about Reiki diversity, distinguish yourself as an experienced practitioner, and inform them the difference experience makes. Many people honor experience. Even Dr Usui realized that giving any thing free is not valued ! ( The beggars he healed came back ,when there was no fee, having gotten used to an easy way of life. Thank you, Piush, but for clarity, I’d like to emphasize that was a teaching story, not historical fact. and communicating about fees to clients. That’s more than can be addressed in a short video. Your Reiki Professional Fees training will discuss that in depth. I am a ReikiMaster /Teacher. Perfect timing for this video. I had an out of town friend looking for a Reiki Practioner and she asked if it was wrong to be charged for the services. Thank you for sharing. I am a Reiki practitioner in our small community and do charge for my services. I don’t charge my immediate family for treatments. My dilemma is with close friends- do most people give a reduced rate for friends or charge the full cost of a Reiki treatment? I don’t know what most practitioners do, Cheryl, and what does it matter? Why not think it through for yourself to see what is comfortable? You might come up with a friends-and-family fee, and then decide on a case by case basis whether you want to offer it. What matters is that the situation feels balanced, and there isn’t a formula for that. It’s a matter of awareness and self-trust. Great video! I agree!! Thanks so much for all you do for us in the field of Reiki! I look forward to the other videos as they arrive!